Miller Funeral Service has been serving North Wilkesboro area families for years. We are honored to be a part of the rich history of this community and plan to be a part of it for many years to come. 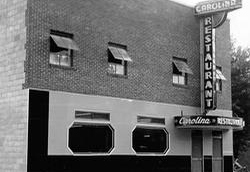 Miller Funeral Service was founded in 1952 as Warren-Robbins Funeral Home in North Wilkesboro. A few years later Ralph S. Miller joined and became Vice President, changing the funeral home name to Warren-Miller Funeral Home. In 1972 Mr. Miller purchased the stock of Mr. Warren and the Funeral Home became Miller Funeral Service. 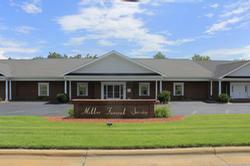 In 1990 a new modern facility was built making Miller Funeral Service a premier funeral home in Northwest, North Carolina. Miller Funeral Service was featured in the February 1991 edition of "The Southern Funeral Director" magazine recognizing Mr. Ralph Miller and David S. Miller. 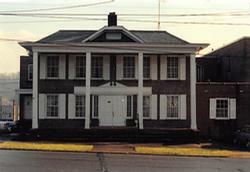 Miller Funeral Service was founded in 1952 as Warren-Robbins Funeral Home located in North Wilkesboro. Miller Funeral Service located on C St., North Wilkesboro.